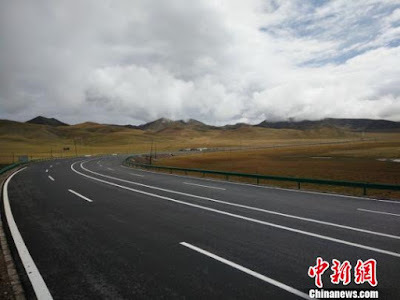 Ge added that 54 billion yuan (8.8 billon US dollar) from the TAR’s coffers will be spent on Tibet's transport infrastructure during the current year: “The total length of roads has reached 82,000 kilometers, and it's expected to reach 89,000 km next year. Next year, we will finish constructing 864 km of highways and 5,500 km of rural roads, and reconstruct 4,310 km of national and provincial trunk highways." Ge spoke during the recent TAR Congress in Lhasa. The TAR plans to spend 15 billion yuan (2.4 billion US dollar) from the State resources and 40 billion yuan (6.5 billion US dollar) from bank loans to further improve Tibet's transportation network next year. It is not said who is guarantying the loans. Probably the Central Government as these investments will also be useful to ‘defend the borders’. On November 15, while presenting the TAR’s ‘Work Report’ to the regional Congress, Wu Yingjie, the new TAR Party boss mentioned the improvements in road, rail and aviation networks planned for the next five years. During the current Five-Year Plan, Tibet will particularly speed up the construction of its second ‘Sky Road’, the Sichuan-Tibet Railway. The 1,838 km railway will run from Chengdu, capital of Sichuan province to Lhasa. The first ‘Sky Road’ on the plateau was the Qinghai-Tibet Railway opened in July 2006, linking Golmund to Lhasa. 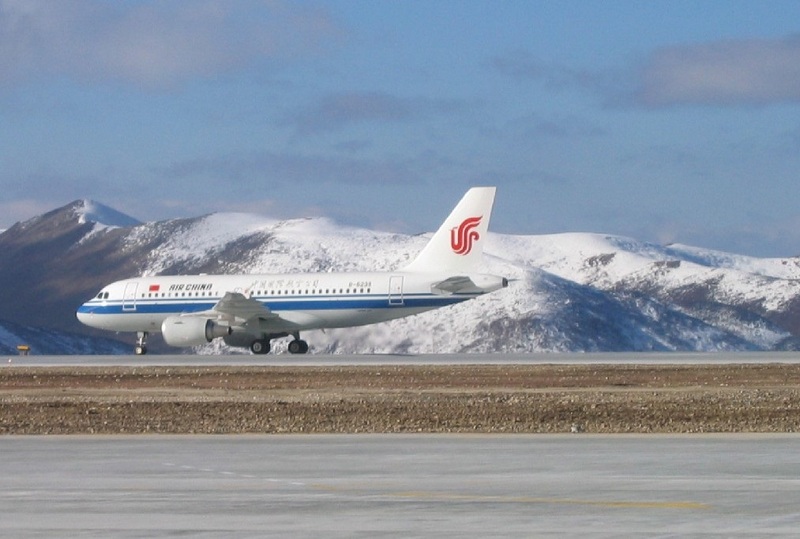 ‘While the first section of the second ‘Sky Road, between Chengdu and Ya'an, began in 2014, the second part, from Lhasa to Nyingchi, started in 2014. He told the delegates to the Congress that the preliminary work on the Yunnan-Tibet Railway and flights between Ngari and Purang, in Ngari prefecture, will start in the next five years. Incidentally, Purang is located near Mt Kailash, just north of Pithoragarh district of Uttarakhand. Wu added that “Tibet has plans to build airports in densely populated and developed cities and prefectures. The progress of an elaborate transportation system of highways, railways and air routes in the coming years will lay a foundation for Tibet to blend in with the Belt and Road Initiative. [One Road One Belt scheme]"
All this has brought millions of tourists from the Mainland to the plateau, with the consequences often mentioned on this blog. Xu Ance, an engineer with Qinghai-Tibet Railway Co, told The China Daily: “Over the past 10 years, the number of tourists visiting Tibet has increased every year, while our passenger and cargo flow has grown annually, too,"
The railway line is being used for transporting basic goods, coal, cement and construction materials …and troops and military equipment. The Chinese press reported that China completed the work on the world's highest road tunnel, costing about US dollars 170 million on the Sichuan-Tibet highway. The seven-km long tunnel, situated 6,168 metre above sea level (the tunnel or the mountain? ), passes through the main peak of Chola Mountain. It shortens the time from Chengdu, capital of Sichuan province, to Nagchu in Tibet by two hours, and avoiding the most dangerous section on the highway. The four-way lanes tunnel has been under construction since 2012. It will open to traffic next year. 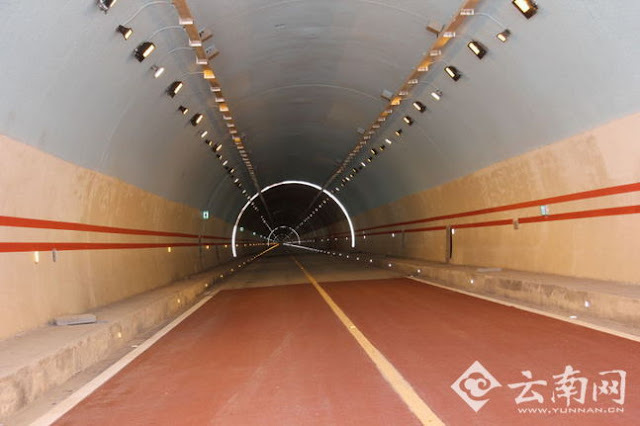 The seven-km long tunnel has been built at a cost of 1.15 billion yuan (US dollar 170 million). It takes only takes 10 minutes to drive through. The highway will accommodate 4,000 to 5,000 vehicles a day, as compared with around 1,500 now. According to China Tibet Online, the pre-feasibility study report of the Kangding to Nyingchi segment of the Sichuan-Tibet railway was ready by the end of October this year. The Sichuan-Tibet railway starting from Chengdu will serve Ya'an, Kangding, Chamdo, Nyingchi, Lhoka and Lhasa. The total length of the operation route will be 1,838 kilometers, out of which 1,738 kilometers of new track will be built. The total investment will reach be 216.6 billion yuan (35 billon US dollars). It should shorten the traveling time from 43 hours and 7 minutes now to 13 hours while providing for ‘bidirectional rapid trains’ and inject “double momentum for Tibet's economic development. Over five million people will benefit from this railway project,” according to one report. The new Yunnan-Tibet Railway to Shangri-La and Dechen County of Yunnan province crossing to the TAR’s Markam and Zogang counties will connect with the Sichuan-Tibet Railway in Bamda Town. The line will be 415 kilometers long; 265-kilometer being in TAR. The total investment has been evaluated to 43.6 billion yuan (7 billion US dollar); the Tibet section alone will cost about 27.8 billion yuan (5 billion US dollar). The preliminary work for the alignment of the line has started. The main work will begin during the 14th Five-Year Plan period. 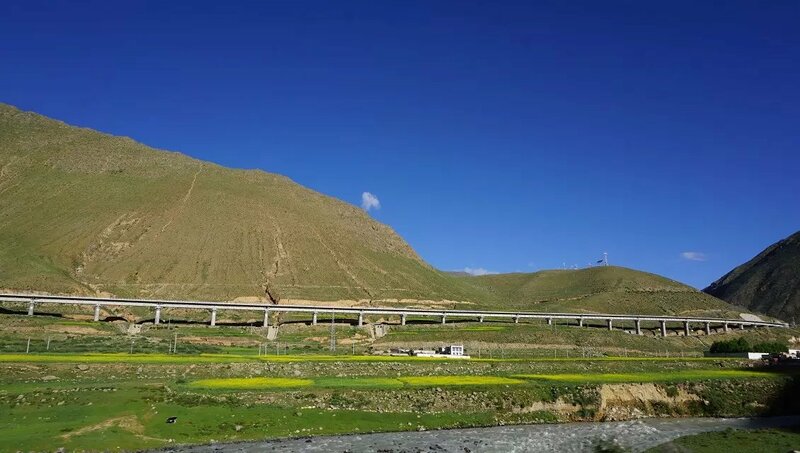 China Tibet Online says that the railway in Tibet “is gradually approaching perfection with the operation of Qinghai-Tibet Railway and Lhasa-Shigatse Railway as well as the construction of Lhasa-Nyingchi Railway. Since the Qinghai-Tibet Railway is put into operation, [in 2006] Tibet's freight transportation has increased rapidly and it has become the main freight channel." And let us not forget, it also takes care of the PLA’s requirements. 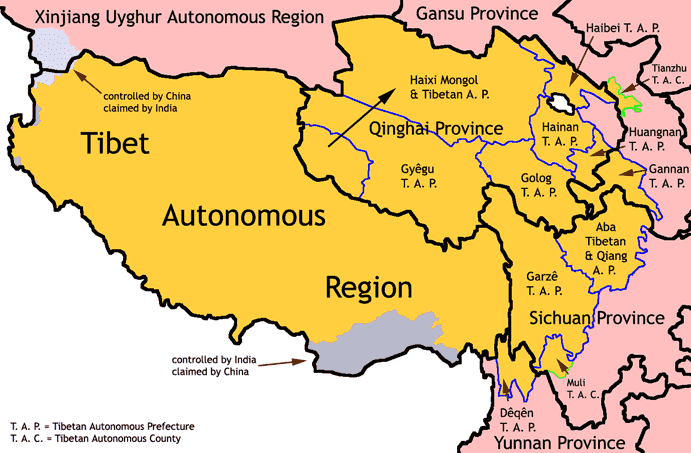 In other words it will be useful to control the restive Tibetans. On October 31, Kangba TV announced, the opening ceremony of Baima (Pema?) 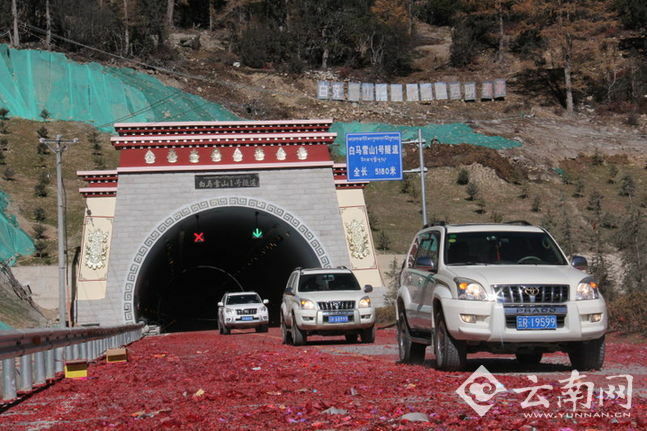 Snow Mountain tunnel on the G214 national highway from Shangri-la to Dechen in Yunnan province. The project consists of three tunnels, all above 4,000m altitude. The length of the three tunnels totals 19,5 kms. The project started its construction in March 10, 2010 (incidentally, the Tibetan Uprising Day). The Baima (Pema?) 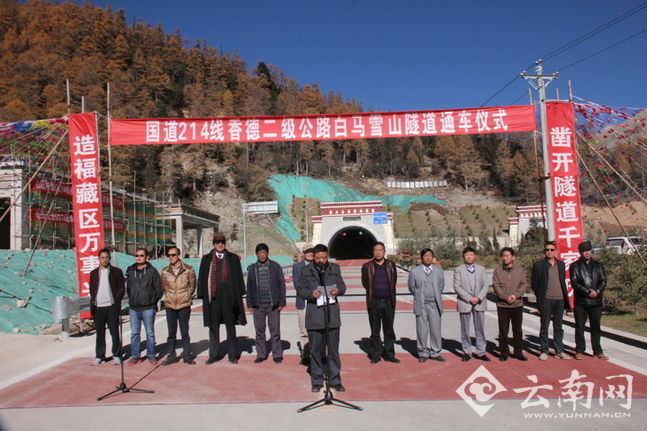 Snow Mountain tunnel should boost the local economy and help the transportation network in Dechen Tibetan Autonomous Prefecture. In the north, in the Amdo province of Tibet, the construction of the Delingha-Xiangride Highway has been completed; the road is 176.48 km long. The 72.75 km-long Ebao-Qilian Highway is also in operation. The Delingha-Xiangride Highway is a special one. Historically, Delingha has been the launching sites for many Chinese ballistic missiles. 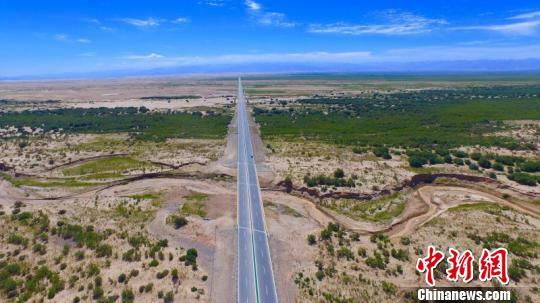 Located in the Haixi Mongol and Tibetan Autonomous Prefecture in Qinghai Province, the project’s ending point will be connected with the planned Beijing-Tibet Highway (G6), and to the beginning of the Xiangride-Huashixia Highway. It has a complex geographical environment, crossing the Gobi Desert, salt-marsh, and water meadows. This expansion is part of the national highway project linking Delingha to Maerkang in Sichuan (G0615). The entire highway will be built to the latest standards and will be designed for vehicles to run at a speed at 100 km/hr. In the Qilian County, the Ebao-Qilian Highway starts from Ebao Town. It connects to National Highway 227 as well as the Zhangye-Henan Highway, ending up in Qilian County. The road further connects to Provincial Road 204 and the planned Qilian-Chamdo Highway. It cites the Qionglin Village in Nanyi Township of Menling County, Nyingchi (north of Aurunachal Pradesh). It has been provide fiber-optic broadband connection by China Mobile. Out of 47 households in the village, 40 have access to broadband and Wifi access is available in the village. The Disneyland of Snows will become a cool connected place, but it may lose its soul in the process. Lamas in their mountain caves were also ‘connected’, but in a different way. While Delhi remains stuck with its ‘colonial’ system of Inner Line/Protected Area Permit system, China has opened its side of the frontier to hordes of tourists coming to the Mainland. The catchy title is not very clear, but the location of the ‘Legbo Valley’ is speaking. 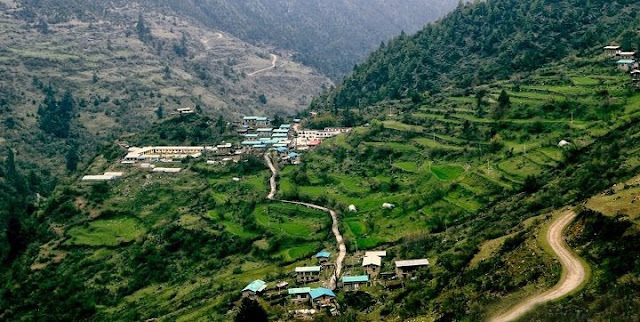 ‘Legbo’ or ‘Le’ (or Lepo’) village is located just a few kilometers north of the McMahon Line (LAC) in Tawang district of Arunachal Pradesh. 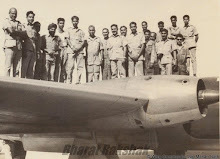 One still remember the Thagla ridge, the site of the Namkha chu battle during the 1962 conflict with China. Le village is situated on the Tibetan side of the ridge, not far from Khinzemane, the last Indian post on the Namjiang chu (river). Today, Le village comes under the administration of Tsona County/Dzong of Lhoka City, Southern Tibet. ‘Natural oxygen bar’ is just a gimmick to attract tourism, as the altitude is not so high (Zemithang, the last big village on the Indian side is at 2,100 meter asl) and the area is afforested, with plenty of oxygen. All this on the Chinese side of the LAC! It is not clear what a ‘passenger’ is, but it seems a lot of visitors for such a small border village. Beijing is said to be ready to invest some 89 million yuan (14.5 million US dollars) to have “an ecological civilization site”. Ecological site or military base? The nearby town of Tsona is ‘the site of commodity’ [sic] and is where the Tsangyang Gyatso Festival [takes place]. Let us remember that Tsangyang Gyatso, the Sixth Dalai Lama was born in Urgyeling, a hamlet south of Tawang. Tsona is not the birthplace of the ‘Indian’ Dalai Lama, though he stayed there for a short time while on his way to Lhasa; strangely the town is today promoted as Tsangyang Gyatso's place. All this would be fine, it was not happening a few kilometers away from the LAC. Beijing has used a similar tactic in Metok County, located near the Indian border (Upper Siang). This small country, with a population of hardly 11,000 inhabitants received over 70,000 visitors in 2015. China Tibet Online, an affiliate of Xinhua reported last year that since a highway reached the village of Metok in 2013, “tourism industry has seen rapid development”. In 2015, Metok officially welcomed some 70,800 tourists. For the first time in 2014, the authorities of the county started selling tickets for entrance to its scenic areas; in 2015, total ticket sales have exceeded 5 million yuan. I wonder how many Indian tourists are allowed to Zemithang or Tuting/Geling (Metok is located just north of these villages on the Yarlung Tsangpo river — the river becomes the Siang in Arunachal and later the Brahmaputra in Assam). Incidentally, was the visit of the Party boss of the Tibet Autonomous Region, near the LAC north of the Upper Subansiri district, linked with a similar scheme to 'occupy the frontiers with tourists' north of the Upper Subansiri district? Delhi should perhaps emulate China and open the Indian borders to tourism. Would it not be the best way for the Government of India to demonstrate that Arunachal is part of India? For Beijing, the trend is bound to continue; the People’s Liberation Army (PLA) has been told that all new infrastructures built in China should be able to be used for civilian and military requirements. According to Xinhua, on November 10, President Xi Jinping called for the building of strong and modern logistics forces that will guarantee the realization of the Chinese dream as well as the dream of a strong army. 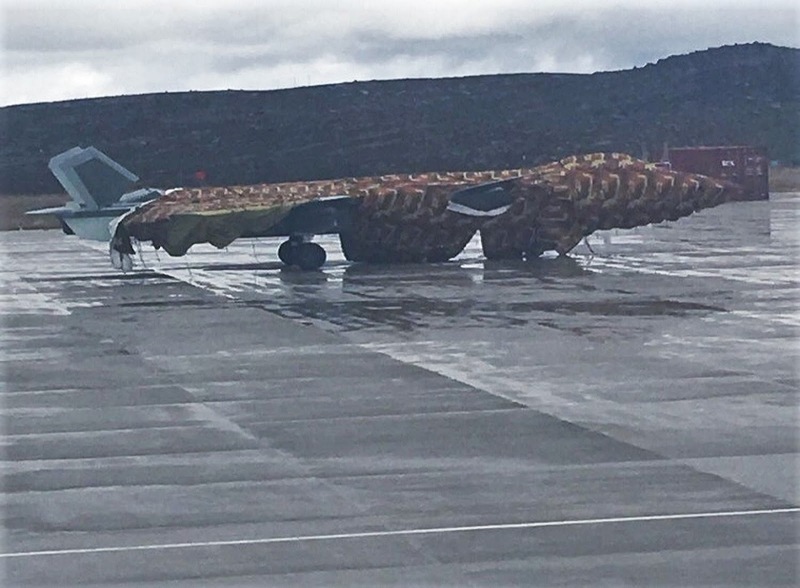 Xi said: “As the international military competition situation experiences profound changes, and national interests and military missions develop, logistical construction is becoming an increasingly crucial factor that affects wins or losses in battle... and occupies a key place in the development of the Party, the country and the military." As the result in 2016, 50,000 ‘passengers’ will come a few kilometers from the Indian border. India should start thinking about the implications of this development. Incidentally, Lt Gen Devraj Anbu, the GOC of 4 Corps called yesterday on Arunachal Chief Minister Pema Khandu. According to press reports, the discussion centered on construction of roads in the border areas and land acquisition for army use; Gen Anbu also suggested having an Advanced Landing Ground (ALG) in the Tawang-Kameng area. How many years it will take, nobody knows; India is not China. For information, I am reproducing an extract of the Diary of Capt Frederick Bailey during his journey in the area in 1913. Based on this report, McMahon drew the famous Line. 20th October, Shakti, 11 ½ miles, 7,250 feet. We had a good view down the valley of the Tawang Chu this morning and were shown the frontiers of Bhutan. Our road left the Tawang valley and went up the Nyamjang valley. We had to change our coolies at several villages and were delayed each time. We passed some terraced rice cultivation at Gyipu. The hills were covered in forest. We stopped in a house in the village of Shakti. No rain. 21st October, Le, 19 miles, 8,350 feet. We made a very late start as were again had trouble with our local coolies. Two miles from Shakti we crossed to the right bank of the river and six miles further we came to a large [Gorsam] chorten of a peculiar design having a base of over 50 yards. A mile beyond this was Pangchen on the left bank above which the river has been dammed up by a landship and there are marshy flats [near Zemithang]; at other places the river flows in a very valley with steep sides covered with forest. At Shoktsen where we changed transport we again had trouble with the coolies who threw our loads down and bolted into the jungle. The road is in places over galleries and causeways built up in from the river. We crossed the river 3 tames by good wooden bridges. We arrived after dark, the villagers of Le coming out to meet us with torches of dried bamboo. We stopped in a house. No rain. 22nd October, Trimo, 10miles, 10,700 feet.-We went up the valley all day crossing the river 3 times. After going 5 ½ miles we suddenly came on Lepo Tsukang or custom house astride the road where we found an agent of the Tsona Dzongpons who took us in and gave us tea. He collects a tax in kind of 10 per cent on all merchandise which goes up into Tibet from the lower lying Monba country. He also collects 1 tanka on each animal and ½ tanka on each man who passes his post. At Trimo we found the people, though still Monbas, to be very Tibetan in their appearance; they grow crops of barley and turnips but maize and other Himalayan crops have been left behind. Their cattle are dzos. No rain. 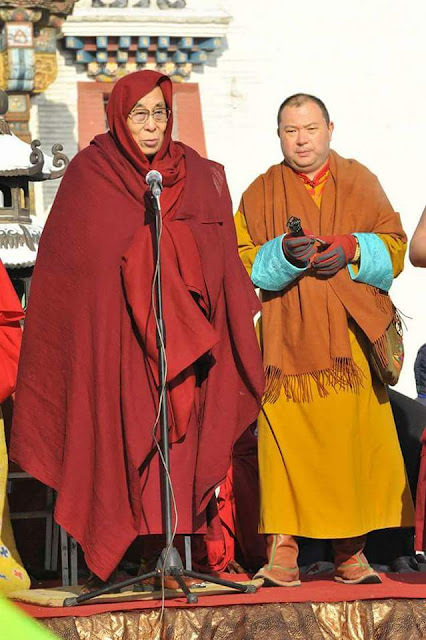 According to Davaapurev, one of the organizers of the visit, the Tibetan monk is to receive an honorary degree, take part in different religious functions and meet with academics and representatives of the nation’s youth: “the visit is separate from politics and for religious purposes only,” the organizer explained. The Chinese do not believe this. 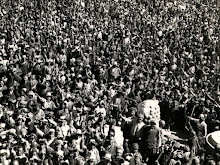 The Dalai Lama has visited Mongolia several times; his first journey to Ulaanbaatar was in 1979. But the Chinese lobby in Mongolia has been active. It used the abbot of the rival Ikh Khuree monastery, Sanjdorj Zandan, to point out at the visit was an interference in Mongolia’s internal affairs. Zandan said that the Dalai Lama planned to name the new head of Mongolian Buddhism (Davaapurev denied that such appointment would take place). 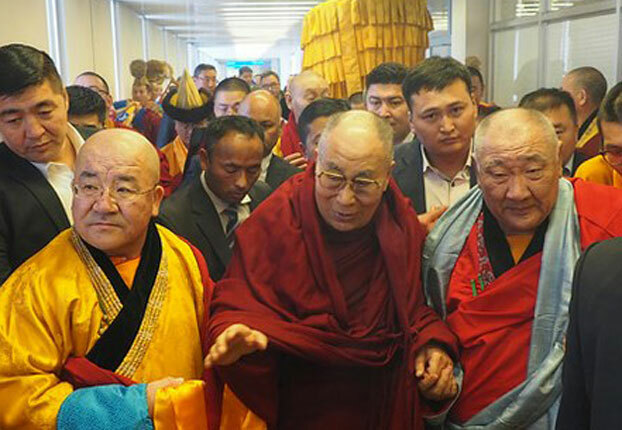 RFA reported that when the Dalai Lama arrived in Mongolia on November 18, he was welcomed at the airport by government representatives, senior monks of Mongolian monasteries …and the Indian ambassador. For India, the Dalai Lama is not only a respected guest of the country but a venerated religious teacher. Today (November 19), he will bless the Gaden Thekchen Choeling, Mongolia’s largest monastery and speak to the abbots and other Mongolian senior religious teachers. He will then visit the monastery of the Kalkha Jetsun Dampa, the ninth head of Mongolia’s Buddhists (the Mongolian ‘Dalai Lama’). In countries where religious and politics are so closely intermingled, it is bound to infuriate China’s further. Mongolian leaders have been quite courageous to dare facing Beijing’s ire. The country’s President, Prime Minister, and Speaker of Parliament admitted that they supported Gaden monastery’s invitation, though no meetings with government officials would take place. It is interesting to see that the Indian Ambassador had the clearance from South Block to go at the airport. 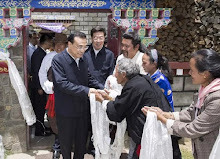 While China promotes religious tourism on the Tibetan plateau in a big way, it is surprising that Beijing is more and more inflexible on the Dalai Lama issue, though the Tibetan leader is probably the only person who could help the Communist Party to sort out the Tibetan issue. Let us hope that the example of Mongolia will be an example for other Asian Buddhist countries such Sri Lanka, Bhutan, Thailand or Burma. Bullies should not dictate their rule forever. It is doubtful if Mongolia will be convinced now. My article Beijing cannot ignore Indian concerns now appeared in in the Edit Page of The Pioneer. In the brouhaha created by the election of Donald Trump as President of the US and Prime Minister Narendra Modi’s grand master coup against black money, an event of great international importance was missed by the Indian Press. Meng Jianzhu, Secretary of the Central Political and Legal Affairs Commission of the Communist Party of China (CPC) visited Delhi and met Prime Minister Modi and Home Minister Rajnath Singh. Meng is not an ordinary official; he is a member of the CPC’s all-powerful Politburo. He replaced the disgraced Zhou Yongkang, the biggest tiger to fall in President Xi Jinping’s net in the latter’s fight against corruption and as such responsible for the ‘security’ and intelligence in the Middle Kingdom. What was Meng here for? Probably two things: Beijing was nervous about Modi’s visit to Japan (two days later), and the China Pakistan Economic Corridor (CPEC) is not progressing as smoothly as envisaged (though a first Trade Convoy reached the port of Gwadar on November 12). India had a message to convey too: The nation is tired of ‘Made in Pakistan’ terrorism. In these circumstances, can India and China find an understanding? After Modi’s meeting with Meng, a Press release from the Prime Minister’s Office (PMO) asserted: “The Prime Minister welcomed the intensive exchange of high-level visits between India and China over the last two years.” Nothing new or special in this! Before Meng Jianzhu’s arrival, the Indian establishment was caught in ‘a piquant protocol situation’: strictly speaking, Meng has no ‘counterpart’ in the Indian Government. Meng is said to be far senior to the Chinese Home Minister and in a way to India’s National Security Advisor. The Government finally opted for a meeting with Singh, the number two in the Indian Cabinet. Singh reminded his interlocutor that Pakistan was patronising and financing terrorist groups, including Masood Azhar, Lashkar-e-Tayeeba and Hizbul Mujahideen. Their leaders still roam around freely in Pakistan; Meng was probably shown proofs. Singh also argued that there is no good or bad terrorist: Terrorism can’t be one country’s problem alone, it is a threat to global peace and security. It had to be dealt globally…by China too! The Minister suggested that India and China should soon conclude negotiations on a bilateral Agreement on Security Cooperation; it would include tackling transnational and cyber crimes. Meng’s reactions are not known, though he is sure to have complained about the Dalai Lama’s forthcoming visit to Tawang and the ‘splittist’ activities of the Tibetan refugees in India. We don’t know if the China Pakistan Economic Corridor, passing through Pakistan-occupied-Kashmir (PoK) and if the recent developments on the border in Ladakh were discussed. Incidentally, a couple of days before Meng’s arrival, the Indian Army and the ITBP showed for the first time a great firmness when some PLA troops tried to stop an irrigation project in Demchok, a border village on the Indus river. Meng who was announced as Xi’s Special Envoy, had not come to Delhi just to hear a lecture from the Home Minister or the Prime Minister. Especially as the meetings took place just before Modi left for Japan for a crucial visit (to sign a civil nuclear deal), Meng is bound to have aired Beijing’s concerns. Can India and China collaborate in the field of counter-terrorism? 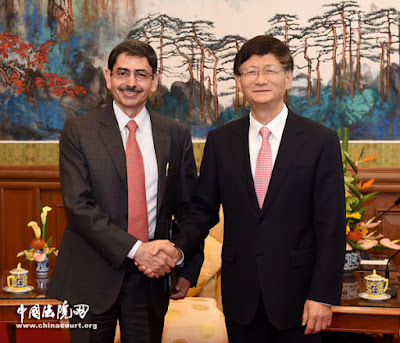 At the end of September, a ‘dialogue’ had already started in Beijing where a meeting, jointly chaired by Wang Yongqing, the Secretary General of the Commission for Political and Legal Affairs and RN Ravi, chairman of India’s Joint Intelligence Committee, took place. At that time, India and China agreed to work together ‘on counter-terrorism and security’. According to The Global Times, Meng voiced the hope that the two sides could start some counter-terrorism collaboration in order to protect regional security. Where is Pakistan in this new ‘dialogue’? Was it a coincidence, but as Meng arrived in Delhi, India and China were holding their 8th meeting of China-India Defence and Security Consultation. China was represented by a PLA rising star, Sun Jianguo, Deputy Chief of the Joint Staff Department (and informal head of China’s intelligence and military diplomacy). Though little transpired during these two important visits (especially Meng’s), the future of the CPEC and its all-weather friend must have received a lot of attention. For mega projects such as the CPEC, China certainly can’t ignore India which has its own stakes in PoK. India’s closer relations with Japan and the new US President are bound to have come up too during the talks. Asia seems in a flux, with new realignments in the offing; this makes China nervous. The time has come for Beijing to take into account Delhi’s security concerns. My article It pays to be tough with China appeared in The Asian Age/Deccan Chronicle. Interesting news has been coming in from the high plateau of Ladakh. For three days, the Indian Army and the Indo-Tibetan Border Police had an eyeball-to-eyeball confrontation with the People’s Liberation Army on the Line of Actual Control in the border village of Demchok. While this village of Nyoma block in Leh district is small (with 74 inhabitants, the last census said), its location on the Indus river is strategic. 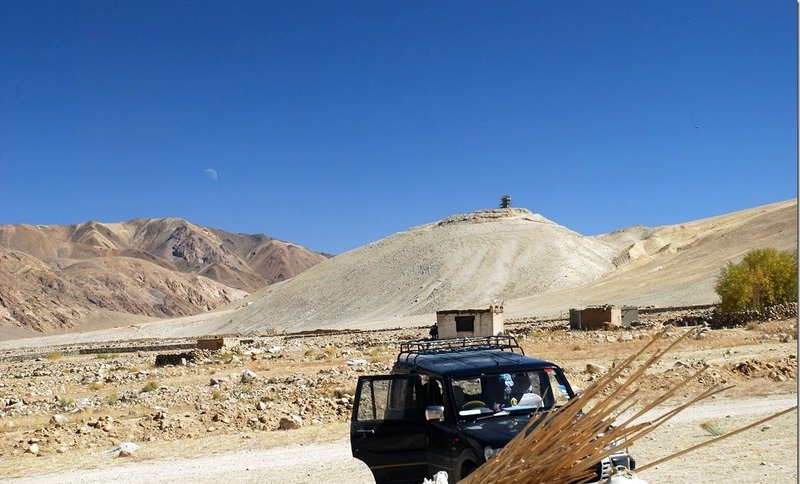 It’s been a part of Ladakh and thus Indian territory for centuries. In fact, no Chinese was ever seen in this rather desolate area before the 1950s. Today, however, Beijing claims Demchok as Chinese. It’s not that China is Alzheimerish; it’s simply convenient to rewrite history for its strategic purpose. Before India’s independence nobody ever contested the fact that Demchok was the last village on the road to western Tibet on the Kailash Mansarovar pilgrimage. It was agreed to by all. This is interesting because it shows that just before Independence the Indo-Tibet border in Ladakh was well defined and agreed upon by the government of British India (represented by the trade agent), the state of J&K (wazir) and the Tibetan government (garpons). Unfortunately, the Chinese “claims” have resulted in what is prosaically called today “differences of perception” on the Line of Actual Control. Why did China start claiming the area? The change in Chinese maps, particularly in the Demchok sector, began with the objective to protect a new road linking Tibet to Xinjiang in Aksai Chin area in the mid-1950s (the famous Aksai Chin road). Though the issue would only become public through a debate in the Lok Sabha in August 1959, in early 1950s New Delhi was already aware that China was building a road, but South Block was not ready to acknowledge it. 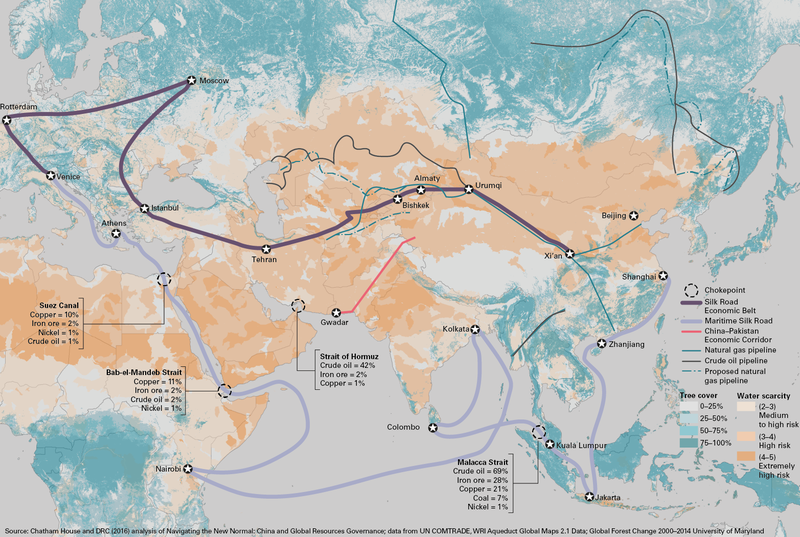 Changing the map of the frontier was the best way for China to create a strategic buffer for the new road. But let us come back to the present stalemate. The PLA asked local people to immediately stop their work; the Chinese quoted the agreement between India and China, which says either side needs prior permission before undertaking any construction work. This argument did not fool the Indian Army, who pointed out to the Chinese that the Indo-Sino border agreement specifically says information about the construction needs to be shared only in case the development was for defence purposes, not otherwise, certainly not for civilian work. While both sides continue to deny any incursions or transgressions, the Indian side clarified that issues, if any, would be resolved at a local level with Chinese officials at the border meeting point (Chushul in this case). Finally, on the third day, local engineers could finish laying a water pipeline for irrigation of the remote Indian village. The pipeline is nearly a kilometre long. The stalemate ended on November 5 in the evening. The scene witnessed the holding of “vritual” banners by the PLA: “It is my territory, go back”; but the Army and ITBP personnel did not allow the PLA guards to erect a hut and the Chinese ultimately had to take the material back to their base camp in Tibet. In the end, the work was done: India didn’t back out while confronting the PLA troops in Demchok. Almost a few thousand kilometres away, also near the LAC, India took another great step to defend its borders. For the first time, the Indian Air Force successfully carried out a test landing and takeoff of the C-17 Globemaster-III at Mechuka’s Advanced Landing Ground. After the upgradation of Mechuka’s ALG, the giant Boeing C-17 could land. It should eventually ensure the transport of men and material to the remote border village of west Siang district of Arunachal Pradesh, which was invaded by the Chinese in 1962. Let us not forget that Dibrugarh, the nearest air/rail head, is located some 500 km away (practically a drive of two days). A few days later, the eighth meeting of the China-India Defence and Security Consultation was held in New Delhi and Xinhua reported all was well at the border between India and China. Around the same time, Meng Jianzhu, China’s security tsar and member of the all-powerful politburo, discreetly visited New Delhi and met Prime Minister Narendra Modi (and home minister Rajnath Singh); apparently not about any border issues, but for a serious discussion on “global” terrorism. It always pays to take a tough position with China. Probably two things: China was nervous with Modi's visit to Japan (two days later) and India is tired of terrorism "Made in Pakistan". 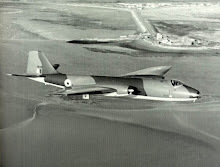 Nothing new or special in this! While ‘fondly’ recalling his visit to China in May 2015, as well as his trip to Hangzhou in September 2016 to attend the G-20 Summit, Modi told his visitor: “such visits contribute to building strategic understanding between the two countries”. Who should talk to Meng? Meng Jianzhu’s visit apparently put the Indian establishment in ‘a piquant protocol situation’. Strictly speaking, he has no ‘counterpart’ in the Indian government. Beside the chairmanship of the Political and Legal Affairs Commission, Meng also heads the Central Public Security Comprehensive Management Commission. 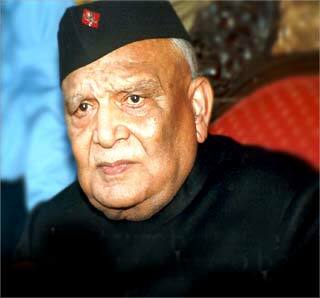 He is said to be far senior to the Chinese Home Minister and in a way to India’s National Security Advisor. The government finally opted for a meeting with Rajnath Singh, the no 2 in the Indian Cabinet. Pointing out that Pakistan is patronizing and financing terrorist groups, the Home Minister informed his guest that several leaders of terrorist groups including JeM leader Masood Azhar, Lashkar-eTaiba leader Hafiz Saeed and Hizbul Mujahideen leader Salahuddin could still freely roam in Pakistan. Meng was probably shown proofs that the Tehreek-e-Taliban and Lashkar-e-Jhangvi were financed and sponsored by the ISI. Rajnath Singh would have argued that there is no good or bad terrorist: terrorism can't be one country’s problem only, it is a threat to global peace and security. It had to be dealt globally …by China too! The Home Minister also mentioned the case of the ULFA leader Paresh Barua, who is facing trial in India for heinous crimes and is believed to have taken refuge in the trijunction between India, Myanmar and China. That was before the demonetization announcement. According to the communiqué from North Block, the Minister suggested that India and China should soon conclude negotiations on a bilateral Agreement on Security Cooperation; it would include tackling transnational and cyber crimes (read Pakistan?). 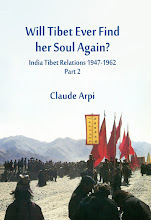 Meng’s reactions are not known, though he is sure to have complained about the Dalai Lama’s forthcoming to Tawang and the ‘splittist’ activities of the Tibetan refugees in India. 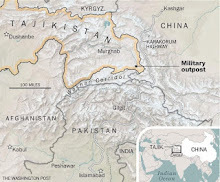 We don’t know if the China Pakistan Economic Corridor, passing through Pakistan-occupied-Kashmir, figured in the discussion and if the recent developments on the border in Ladakh were discussed (the PLA tried to stop some irrigation work by the villagers of Demchok). Probably. It is however certain that Meng, who was announced as President Xi’s Special Envoy has not come to Delhi just to hear a lecture from the Home Minister or the Prime Minister. Let us not forget that it was just before Modi left to Japan for a crucial visit. The Indian officials probably got a bit of a lecture from Meng too. At the end of September, India and China had already agreed to cooperate ‘on counter-terrorism and security’ during their first dialogue on the subject in Beijing. 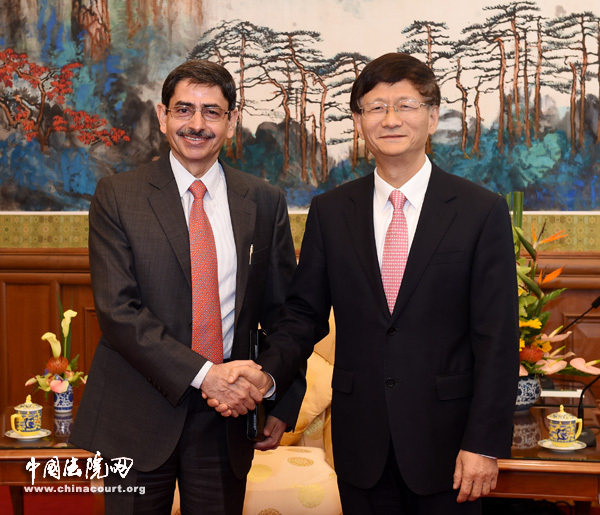 The dialogue was jointly chaired by Wang Yongqing, the Secretary General of the Commission for Political and Legal Affairs and R.N. Ravi, chairman of India’s Joint Intelligence Committee. Again according to The Global Times, Meng voiced the hope that the two sides could start some counter-terrorism collaboration in order to protect regional security. Where is Pakistan in this new scheme? That was probably one of the topics discussed less than six weeks later in the polluted capital of India. As Meng arrived in Delhi, India and China were holding their 8th meeting of China-India Defense and Security Consultation. 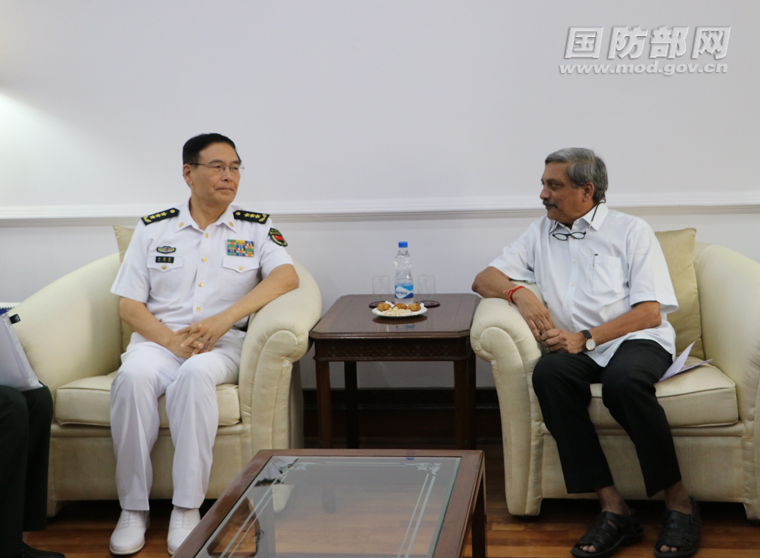 China was represented by Sun Jianguo, the PLA’s deputy chief of the Joint Staff Department (and informal head of China’s intelligence and military diplomacy) and India by its Defense Secretary, Mohan Kumar. Even if little is known of what transpired during these two important visits (especially Meng’s), the future of the CPEC and China’s protection of its all-weather friend must have received a lot of attention. The fact is that for mega projects such as the CPEC, China can’t anymore ignore India. India's relations with Japan and the new US President are bound to have been come up too. This probably explains the quick succession of 'exchanges' at the highest level of the security apparatus between India and China.